Luke Doncic “killed” the team that he loves! As he confirmed after the game, he is also a fan of Crvena Zvezda. 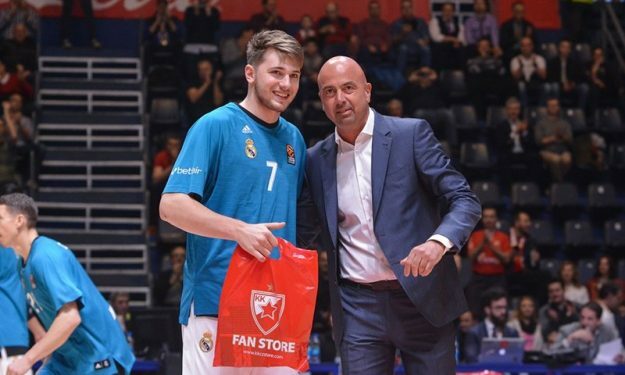 While Doncic is Slovenian, his father is Serb and Crvena Zvezda honored him and also Dino Radoncic, the young Montenegrin of Real Madrid, before the tip-off. Doncic returned the love after the game: “It was a very tough game against my team, I really like Zvezda. It was a great game, and I think all the fans enjoyed it. We have one more game, and we have to win it. Zvezda has amazing players, amazing fans, we needed to stay strong until the end, and that’s what we did. It was a big win for the fourth place in the standings”.